How much are we spending on Valentine’s Day? – EXPLORE . ADVENTURE . DISCOVER . 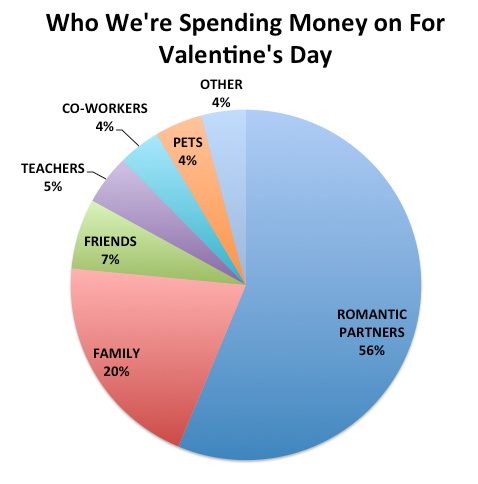 How much are we spending on Valentine’s Day? Since I got so curious about how much are we really spending on Valentine’s Day, I did some digging about it and here’s what I found 😀 . You can click the image to enlarge. 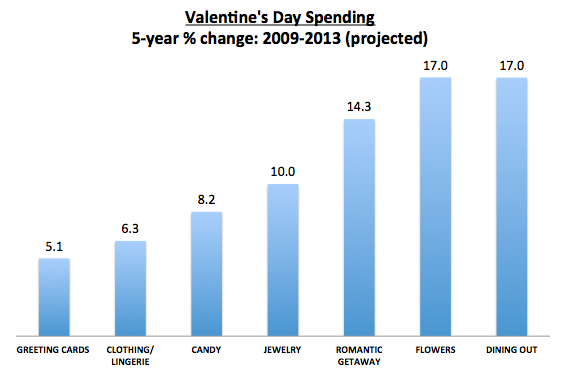 Here’s another detailed approach about our Valentine’s Day spending. The article was posted last year so I can only assume that the projected spending is either going up or down. Surprised??? I’m actually not! Imagine, we are spending 448 million dollars on candy alone plus another 8.6 million dollars on sparkling wine. Then add the cost of flowers, cards and other gifts on top of that. WOW! 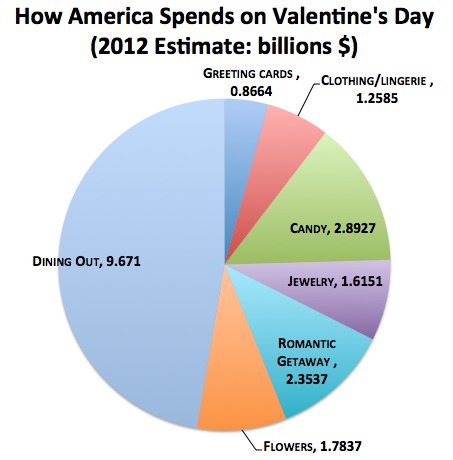 We really do spend a lot of money for Valentine’s Day! ← Love is in the air…..or is it?